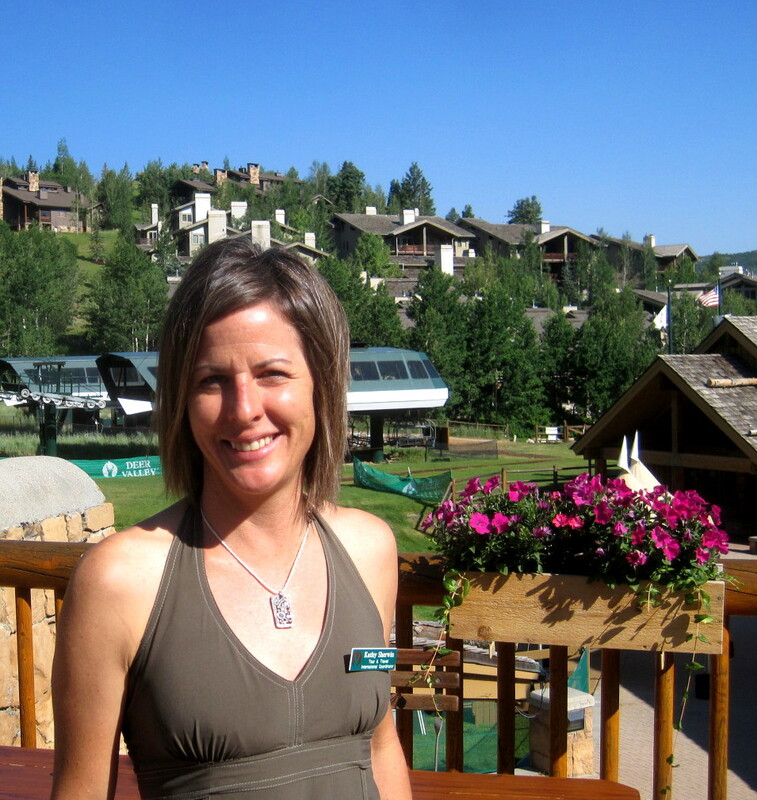 Fresh out of college, Kathy began her career at Deer Valley Resort as a Ski Instructor before joining the Ski Patrol team and then moving on to the resort’s Human Resources department. She didn’t stop there and worked part-time in retail at the resort’s Signatures Stores, while she pursued a career as a professional cyclist. Today, she is the Tour & Travel/International Coordinator in the Marketing department. Before she re-invents herself once more, I stopped Kathy for a few precious minutes to uncover the secret of her breathless career path with Deer Valley Resort. JF: What was your life like before Deer Valley Resort? Kathy Sherwin: I was raised in Tacoma, Washington and always was a very active child. I was a tomboy, I guess; I already had my little BMX bike and built a track for it in the back of the house. I also played soccer, tennis and was put on the ski bus every week by my parents. JF: Where did you go skiing? Kathy Sherwin: Snoqualmie Pass, Crystal Mountain and White Pass; those were the main places I learned to ski; I was always on the go! JF: As you grew up, which career path did you want to pursue? Kathy Sherwin: It’s kind of funny; I wanted to be a doctor. As I started volunteering and working in that field, I soon realized that everyone was sick. I wasn’t sure I wanted to be around all these sick people all the time and started looking instead into preventive approaches to healthcare which led me to a healthier lifestyle. I met my late husband in college and he was the one who had a bicycle and said, “Hey, let’s commute to school everyday.” It was of course much faster to ride our bikes than drive for 40 minutes in Seattle’s traffic. That’s how I got back into bike riding. JF: I guess, biking was well planted into your DNA. Kathy Sherwin: Yes. I remember telling my mom, “I want to bike race!” when I was 6 years old, but it didn’t happen. JF: So you are at the university and then you graduate; what brought you to Deer Valley Resort? 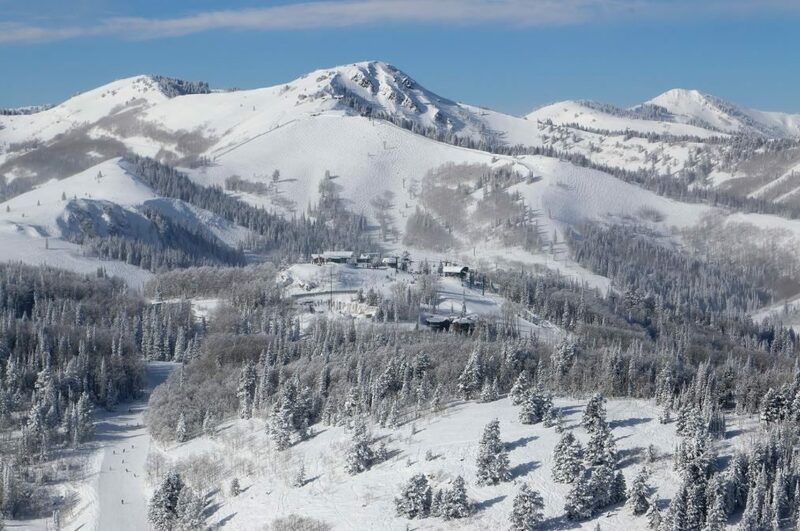 Kathy Sherwin: My late husband said, “I’ve heard about Deer Valley Resort, it’s a great place in Utah; they treat their employees extremely well.” So we went, we got jobs, he became a Mountain Host and I became a Ski Instructor. 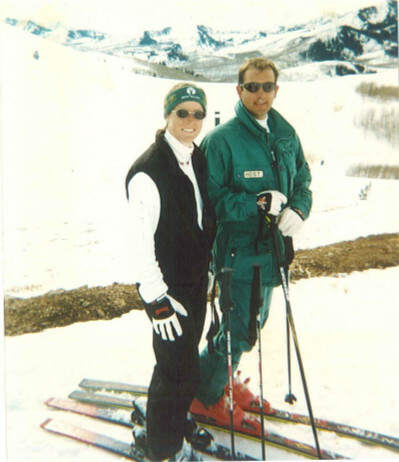 Kathy in the early days at Deer Valley Resort with late husband Chris Sherwin. 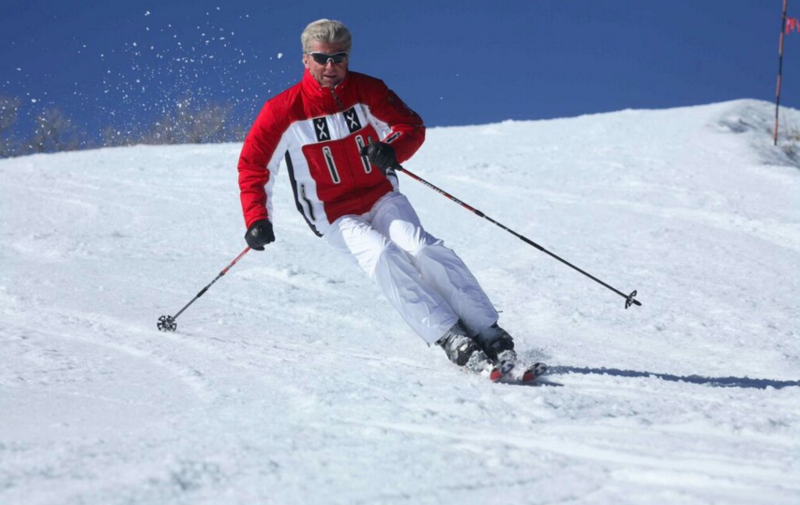 JF: Had you taught skiing before? Kathy Sherwin: Yes, I forgot to tell you; I had taught skiing at Ski Acres, next to Snoqualmie in Washington, during my last year of college. JF: What were your expectations when you arrived at Deer Valley Resort? Kathy Sherwin: That we would work there for a season or two and leave. JF: And move on to another place? 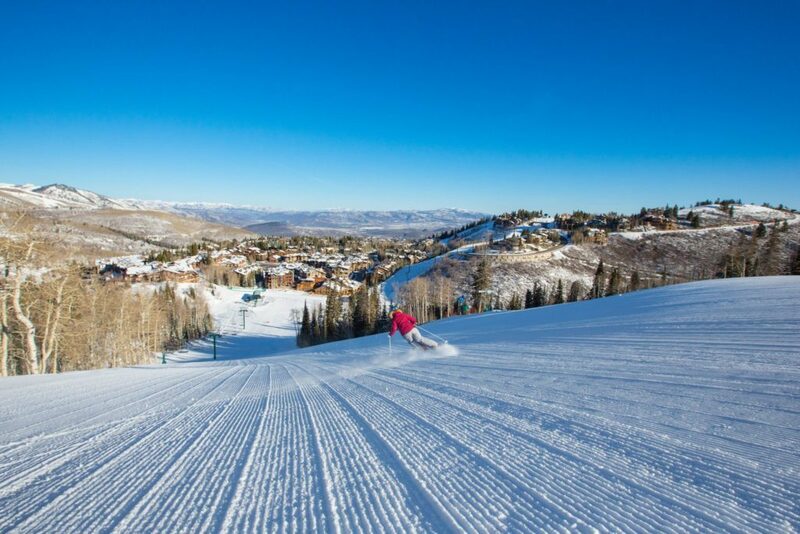 Kathy Sherwin: Yes, but Deer Valley Resort was so fantastic and with the employee benefits, the way we were treated, and the tight-knit family atmosphere, it was hard to think about leaving. JF: What did you learn during your first season? Kathy Sherwin: The importance of customer service. If you had a question from a guest and didn’t have an answer for it, you would go find it out and would get back to the guest no matter how much work it meant and whether it took a few minutes or an hour. I thought it was pretty cool because many other places didn’t know how to service their customers that well. JF: What else did you learn? JF: Did you feel this came naturally from all your coworkers? Kathy Sherwin: We had orientation and training, but no one can force a certain attitude on you. With the kind of employees that we have, many of them so well-educated, this way of acting comes quite naturally. It isn’t pushed down your throat and most people buy in to that concept. JF: What’s remarkable about your career at Deer Valley Resort is the impressive range of positions you have occupied over the years; tell us about that. Kathy Sherwin: The ski school came naturally because I had done it previously. Still continuing on the thought that I wanted to go into medicine, I became an EMT (Emergency Medical Technician) and joined the Ski Patrol for a few years. Then about a year later, after my husband and I married, I had the urge to get a “real job” and an Administrative Assistant position in Human Resources became available. I applied and got the job. JF: Was it a year-round job? Kathy Sherwin: Yes, salaried, full-time. I did it for a little over 10 years and worked my way up to HR Manager by the time I left. 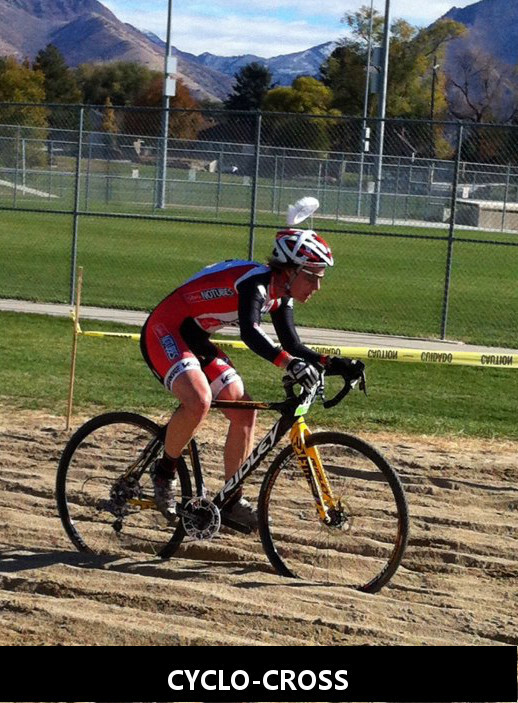 I decided to then pursue my passion of racing a bicycle full-time. JF: Did you take a sabbatical or did you find some other working arrangement? Kathy Sherwin: What I did was to work on-call with the Deer Valley Signatures stores. I would come to help over Christmas, holidays and other busy periods and did this for six years. In the meantime, I was racing my bike full-time, traveling the world and training daily. JF: How did that passion for mountain bike racing develop? 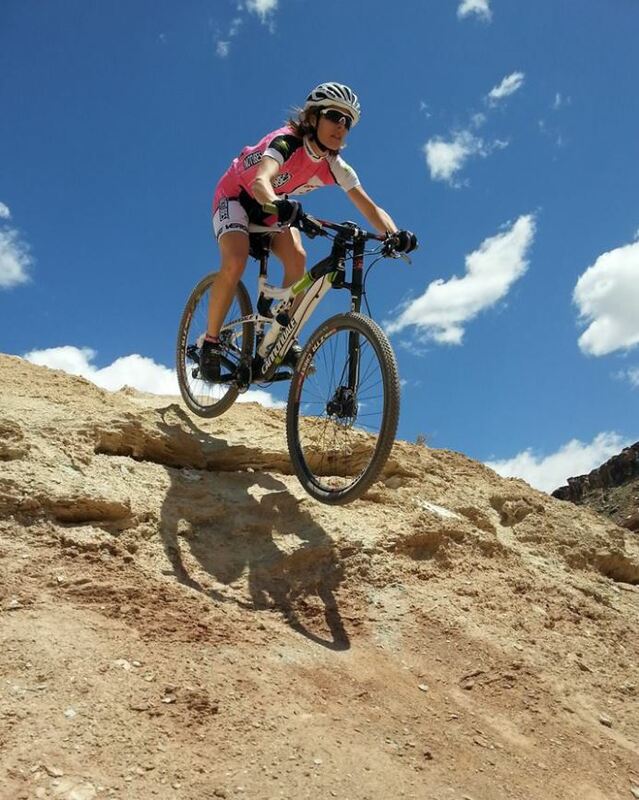 Kathy Sherwin: When I was sitting in the HR department, I watched the NORBA (National Off Road Bicycle Association) series come through and set up mountain bike races; I wondered what this was all about and thought it would be cool to try one day. JF: Did you have any mountain biking experience? Kathy Sherwin: Not really, I would occasionally ride a hard-tail mountain bike and eventually I ended up getting a full-suspension one. I loved it and started to race. My first competition was the Intermountain Cup Series, 14 years ago. I participated as a beginner and won my category, which was a real shocker to me. JF: What happened after that? Kathy Sherwin: Everyone was excited for me and told me to go on to the next race, which I did and won! Then I got a local sponsor and little by little, I built my resume up to garner even more sponsors, about ten of them. I was able to accomplish all this without even setting the goal of becoming a professional in the first place. 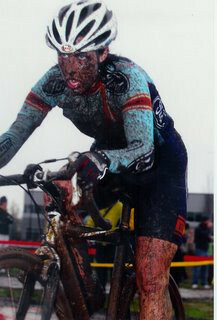 Kathy on a muddy day of cyclo-cross. JF: Is this how you went on to race nationally and joined the international scene? Kathy Sherwin: Right. I raced in Canada, Belgium, Scotland, Germany, among other countries. JF: How long did you race as a Professional? Kathy Sherwin: About six years. JF: How did you return to Deer Valley Resort? Kathy Sherwin: I always knew I wanted to return to Deer Valley and this was always part of the plan. I knew I wanted to work in the Marketing department. A position became available when my husband was sick with cancer, which made the transition so timely. JF: How do you like working in the Marketing department? Kathy Sherwin: I love it. It’s amazing, as a professional athlete, how you must learn to sell yourself. First I was really shy about it, but it soon became a matter of survival. You learn how to push yourself and show what is important to the person you’re selling something to. It’s amazing how my competitive experience translated into the sales and marketing process. Add to this my love and passion for Deer Valley Resort, the best product out there, all these pieces make it so easy! 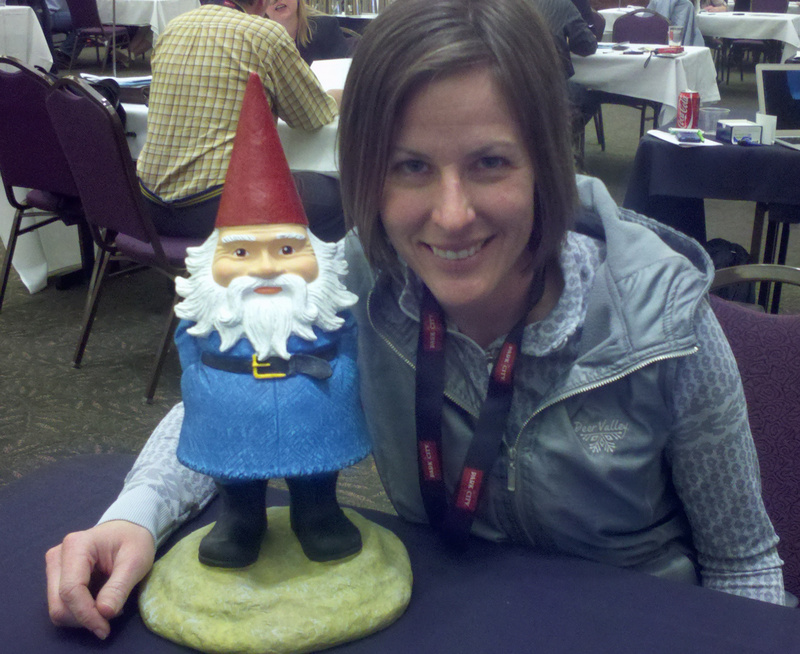 Kathy sharing trade secrets with the Travelocity Gnome. JF: In looking back over your remarkable career, where do you see the essence of the Deer Valley Difference? Kathy Sherwin: It’s all in the guest service quality, being upfront with all the experience and value we’re offering our guests. The key is to provide guests with an experience that is always over the top and makes a true difference for them. I love being part of that entire process. I would also add that the company’s leadership has a huge influence on the Deer Valley Difference. For example, Bob Wheaton, our President and General Manager, is instrumental in making it work by leading through example and there’s a trickle down effect throughout the entire work force. This and the fact that we’re all empowered to think out-of-the-box when it comes to solving problems and finding solutions for guests, continuously fuels a customer service experience second to none. JF: In closing, and for our readers considering a Deer Valley Resort career, what advice would you give them? Kathy Sherwin: They should know that our employees are kind, open, willing to engage guests, hardworking and willing to go above and beyond the call of duty. 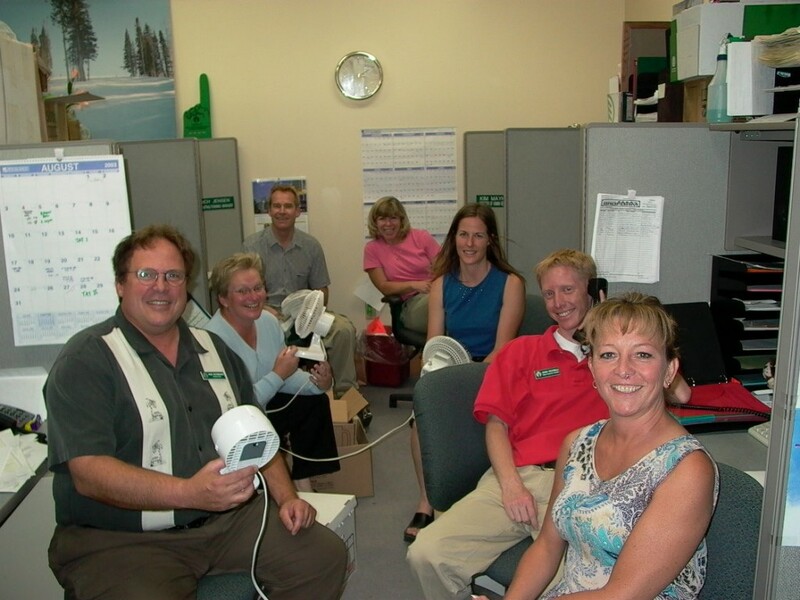 Another very cool thing about Deer Valley Resort is that we hire a lot from within – I mean a lot. So go get that “entry-level” job, because, before you know it, you can have a year-round position; this is exactly what I did.